And so he began, first producing small amounts in his basement for friends and family and then, as the word spread, he began making more and more candy for the local market. 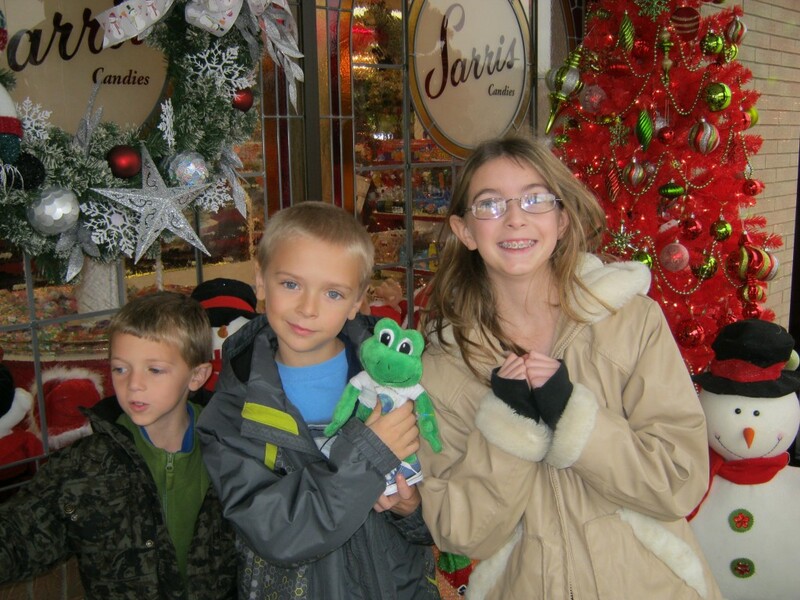 Frank and Athena married soon after and Sarris Candies was born in the basement of their Canonsburg home. Working as a forklift operator by day and candy maker by night, he realized that one or the other- his candy enterprise or his career had to end. 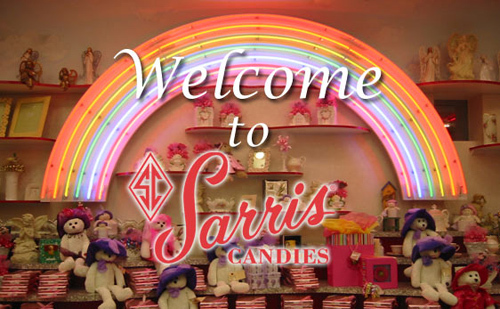 Thankfully for the thousands of “sweet-tooths” that enjoy Sarris chocolate, Frank Sarris quit his job and started stirring batches full time. By 1963, Frank had outgrown his basement. So he built a small candy shop next door to his house. Five years later, the house was demolished to make room for an even bigger candy shop and he and Athena settled into an apartment above the shop. Over the years, Frank never forgot the quaint soda fountains of his youth which sold ice cream and penny candy. In 1982, with the help of his son, he created his very own old-fashioned ice cream parlour complete with period-style, red and brass booths and shimmering crystal chandeliers. Each year, thousands of people come from miles around to sample sundaes and other cool treats made with Sarris’ homemade ice cream and toppings. Many family members helped to build the business which has turned into a Canonsburg landmark. 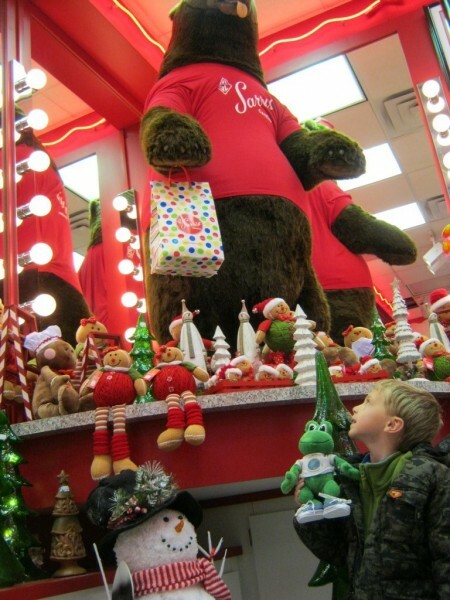 Today, the Sarris Chocolate Factory and Ice Cream Parlour fill an area the size of a football field with over 100 yards of chocolate, penny candy, ice cream and life-like plush toys. To this day, Frank and Athena are still sweet on each other. One taste of Sarris Chocolates and you’ll fall in love, too! I could smell the chocolate before the doors were opened. YUM! 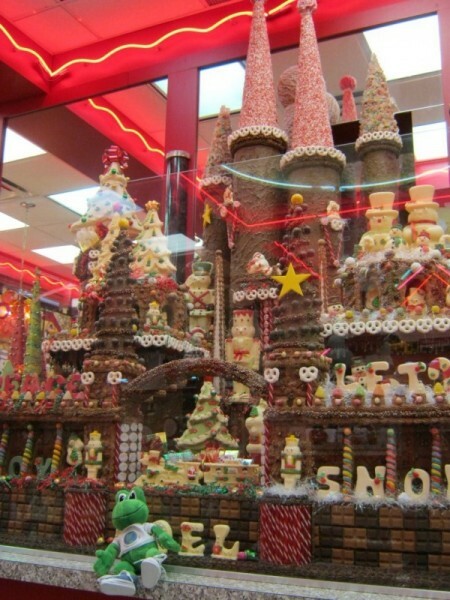 Here I am just inches away from the yummiest looking 1,500 pound chocolate castle! 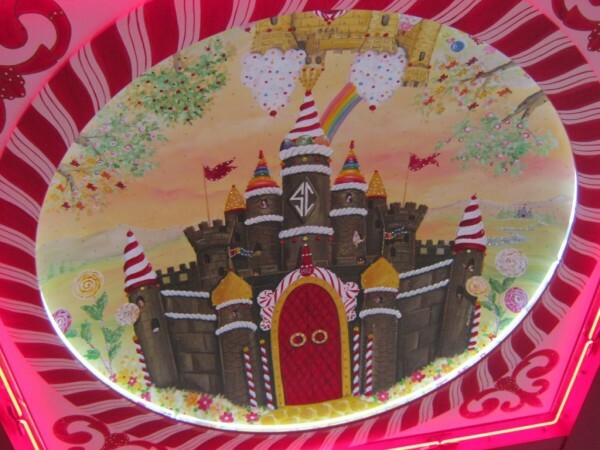 This beautiful mural is painted on the ceiling. On the way home we stopped at the Welcome Center in Garrett County, Maryland. We had a dusting of snow to top off our chocolately dreamy day! I absolutely love the picture of your three children and Polly! 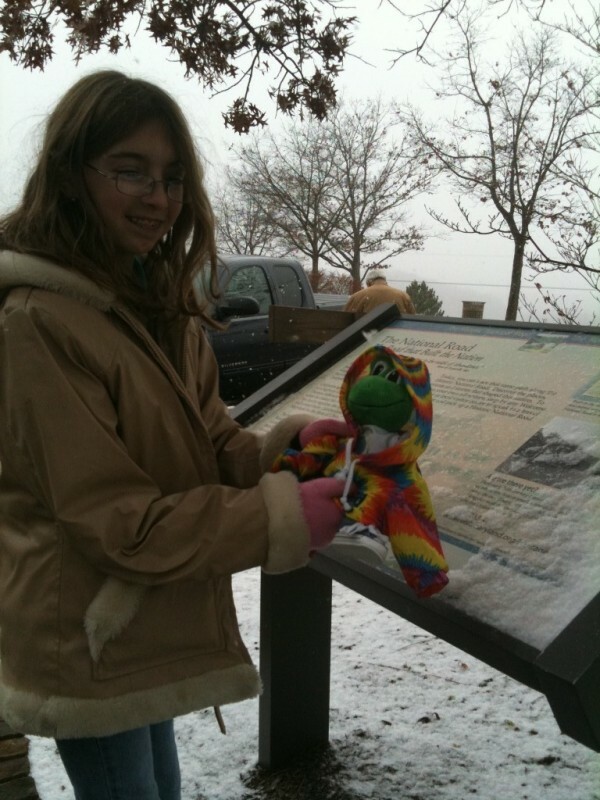 This post is fantastic, as always…keep posting, Polly #35! Great candy and an even better story! Polly #35 & Co. has done it again! Did you buy any candy when you were there? It all looks so good. The kids do a great job with these posts (as does mom, I’m sure). I always look forward to seeing a Polly #35 story! 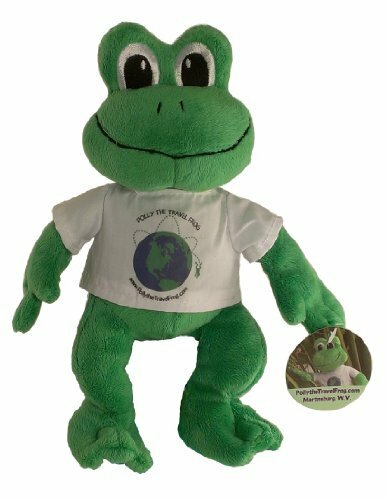 Polly #35 is a very cool frog and her family is great, too! I agree with Jazzy Jeff, their posts are always fantastic. Thanks for all of the kudos. We just tell our adventures the best that we can. As for the candy purchasing-my family got some chocolate candies. They were out of chocolate covered flies:( though. Our Christmas adventures are coming soon. Enjoy! I would looooooooooooooooooooooooooooooooooooooooooooooooooooooove to be at that store and I would eat EVERYTHING IN THAT STORE! I agree with you Al…it all looks great! Yum!